The more work I do on social capital, social media etc, the clearer I become that trust is at the centre of much of what organisations need to do to perform in these areas. So I’m delighted that I’ll be hosting the Carnival of Trust early next month. This is a carnival I’ve been included in before, but this is the first time I’ll be hosting. 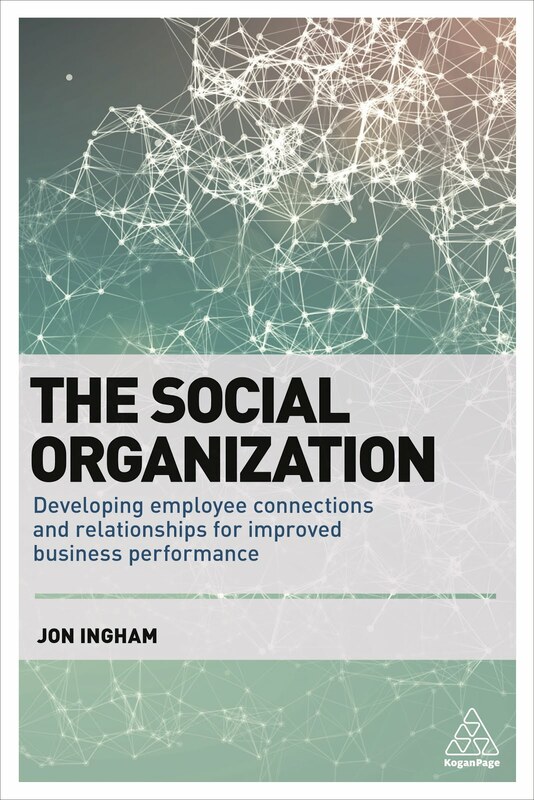 “I believe trust is an increasingly important element in a business world and a society that is becoming more dependent on connections, yet more and more removed from the high-touch interpersonal connections of old. A higher-trust society is a society that is personally healthier, and also economically richer. Not to mention probably more peaceful. My hope and ambition for the carnival is to establish a home base, a center of gravity, for people who are interested in fostering greater trusted relationships in various realms of the world. Hosted by David Donoghue at the Chicago IP Litigation Blog. Hosted by Adrian Dayton at Marketing Strategy and the Law. Hosted by Dave Stein at Dave Stein's Blog. If you want to participate in the carnival being hosted by Social Advantage, send your trust related posts in sometime before Thursday 7th January. And make sure they’re good! – unlike the HR carnival, there’s a clear editing policy on this one. The carnival will be live on Social Advantage from Monday 11th. On Wednesday, I attended the book launch of Jemima Gibbons’ new book on social media, Monkeys with Typewriters. Its ubiquitous (everywhere you look, there’s another goddamn monkey with a typewriter). The book is one of the best I’ve read on social media - partly because a lot of Jemima’s experiences resonate for me (I’m one of the people who have never quite managed to get to Tuttle, but I have been a Fellow of the RSA for most of the last 15 years) – but there are other reasons too. The book is written as a narrative, describing a series of experiences which I think works well. And it also provides a lot of information, a lot of which is surprisingly current, and quite a bit of which is new for me – and I read a lot about this space. All the book’s arguments are also very well referenced and supported. But I’m also impressed because I think the book outlines the the paradigms that come with working with social media very well. I’m particularly pleased to find that Jemima agrees with my own perspective that we need to focus on people, and what the technology enables people to do, rather than starting from the technology itself. I still think we need to take Jemima’s argument regarding people vs technology further however. For me, we need to be much clearer about what we’re trying to create. Focusing on an environment which is enabled by social technology is still inherently about technology. We need to go beyond this and think about all the different ways the desired environment can be created. Even better we can go beyond talking about environment and focus on the outcomes this environment provides us, whether this is customer or employee engagement, knowledge, productivity or connections and relationships – or social capital (which is, in my view, the key outcome from both social technologies and the environment that Jemima describes). Once we’re clear about the outcomes, we can look at which environments and which technologies or other enablers can best create these. My belief is that this can lead to an even more compelling case for change than the arguments Jemima uses for her very human organisational environment. But I do think this book is a big step forward (from Andrew McAfee’s ‘not not about the technology’ for instance). 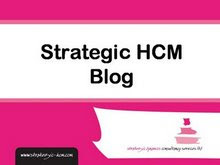 I’ve already posted twice on the last keynote session from this year’s CIPD conference, ‘A New Leadership Paradigm’ (part 1 - the preview and part 2 – the live blog). I’d now like to summarise my take-aways from this and other sessions at the conference. First of all, I thought the keynote debate was really well done. All three speakers clearly had different perspectives, with Sir Christopher Kelly providing a rather more traditional view of leadership to the others. However, it was still useful to have him included, as I think things are going to take longer to change in the public sector, and his views helped to keep discussion rooted in reality. And it is also possible to link all three speakers’ perspectives together. In his presentation with Julie Smith from PepsiCo, Jasvier Bajer explained that the true definition of leadership is ‘the ability to create movement and deliver change’. And I think all speakers would agree with this. But I don’t think Kelly’s views expressed the new paradigm (which is probably why he didn’t think there is one). The future of leadership isn’t just more management; and its not about command and control. As David Smith stated in his presentation of ASDA’s change story (see slide), tell & do autocracy is already dead. This definition really is, I think, at the heart of the new paradigm of leadership. But I also think there’s one more piece in this – and this is connectivity which I’ve also already posted on as my additional key message from the conference. Gautam also notes that these behaviours aren’t new. But put them all together – transparency, authenticity, sustainability and connectivity – and I think you do arrive at something like a new paradigm for leadership. And although I’ve mainly be posting here on the business use of web 2.0 tools, this new leadership paradigm is a important and integral aspect of gaining Social Advantage too.